This material is produced as part of one of my core liberal democratic principles that stand for freedom and rights of all Eritrean people from any kind (be it historical, or existing) oppression which has a potential to hinder full liberation of humankind. Eritrean people have an interesting but complex social structure. This social structure has existed for centuries, which makes it a G(? )od – given identity. Though nowadays, it seems much of a history, most of its legacy has a place within their deep sub-conscious thinking. Almost all Eritreans do not realize that their social norms are more of a socially imposed political system as Such identity is intermingled within their daily thinking and social interaction. It is within this premise that I am working in dissolving the Ethnic based social groupings that came into existence since 1970 and the much more complex tribal and social structure that has evolved as a political structure after the 14thC AD. Blin Speaking Communities should reclaim their Kushitic Identity and re-write their rich and ancient history. There is no doubt that Blin speaking Kushites have to re-connect their lineage with their brothers in the highland of Eritrea, Barka, and the Sahel as well as their brothers in Semhar and Denkalia. Most families of Senhit have a direct family link with Agaw families who are now living in Seraye and Hammassien. Names of many villages, mountains, rivers and historical cities are still in their original language. It is wihin this premise that my political works for the Blin speaking communities will focus on liberating Bilen speaking communities from the chains of Ethnicity and Tribal clustering and reclaim their basic family roots. Bilen speaking communities of Eritrea are part of the Eritrean people who are currently speaking a Kushitic language called Bilen. Bilen is one of the Nilo-Saharan Kushitic language. The people who speak the language are commonly known as Blin(ብሊን) though some literatures also refer them as, “Bogos”, “Senhit” or Bilen. With rough estimiation, there could be more than 200,000 people currently speak Bilen language in Eritrea and abroad. Due to war with Ethiopia(1961 – 1991) and now the totalitarian regime in Asmara(since 1991), for the last 50 years Bilen speaking Eritreans were leaving the country in mass forming small but scattered communities in Sudan and in many Westren countries. Though no detailed and thorough study is yet done about the history of Bilen people, there are strong evidence that Blin people were the indigeous settlers of Eritrea. 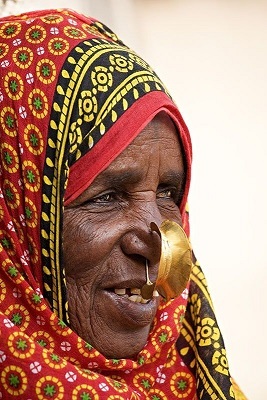 Their ancient history traces back to the Kushitic Kingdom of Nubia and together with other Eritrean Kushitic families, they claim that they are the founders of Axumite kingdom. Even the word Axum by itself is derived from the combiination of two Agaw word, AQ – ዓቑ (water)- Shum – ሹም (king). Adulis is another important city founded by the Agaw peopel. It was the main gate to the Sea for the Axumite kingdom and upto date, its habitants are Kushite people who have direct family lineage with the Blin people. Excavated monuments found in Adulis and Axum have mentioned the name “Athaguas – describing the Village of Agaws” in several of their inscriptions. has specifically mentioned the Agaw people in its Ge’ez and Greek inscripted monument. King Ezana of Axum, who is from Agaw Kushite family, was the first monarchy to embrace Christianity for his kingdom. He ruled Axumite kingdom from 320s to 350s and was one of the most succesful rulers of his time. He erected more than 53 stone monuments and Stelas which are still standing in their place. The recent history of Blin people traces back from around the 10thC AD to 14thC AD. During this time they claim their family lineage with the Agaws of Ethiopia, the rise, glory and fall of their kingdom, as well as their migration to their current territory. Like what happens after the fall of great civilization, many Agaws were forced to flee from persecution and resettle in areas where they can have full security. It is during this time that the vulnerable Agaws started to migrate and re-settle in the highlands of Eritrea and gradually to centre and far North territory of Eritrea called Senhit and Sahel regions. In the 14thC, the Agaws who reached Eritrean highlands via Tigray succeeded in establishing a new center called Bahre Negassi Debarwa. Debarwa is derived from Bilen language, which means, “Equal Hills” – “ማዕረ ዝኾኑ ኮረቢት”. Though the newly established center had a strong alliance with the Tigray feudals(especially from Agame area), it gradually started to become an autonomous region and sometimes a rivalry to the Abyssinian kings of Ethiopia. Starting from the 16thC, Bahre Negassi succeeded in the establishment of Bahre Negassi Debarwa – Ottoman Empire delegates along the Red Sea(Massawa) after the Ottoman rulers failed to occupy the highland of Eritrea. It is at this time that the Blin speaking people took a strong hold and flourished in their current Eritrean territory by aligning themselves with Bahre Negassi and the Beni Amir Tribes of western lowland of Eritrea, the Beni Amir and with the Habab as well as Marya people of Sahel in the North. According to Professor Lapesso Ge. Delebo, an Ethiopian historian and Professor, the Biblical narration of Ham family was manipulated by the Abyssinian kings, in order to deletigitimize and outcast the Zagwe Dynasty as a ruling class by claiming the Kushites are cursed people and have no right to rule. The Egyptians and Turks had their own interest to interfer in the Abyssian affairs. This led to rebellious movement led by the Amhara military commander, Yukuno Amlak for the Restoration of Solomonic kingdom. As a result, Yukuno Amlak succeeded to defeat the Zagwe rulers by mobilizing the Orthodox church and its followers establish. Yikuno Amlak, who was an Agaw by himself, was hired as a mercenary. The Egyptian Coptic Church and the Byzantine rulers(latter, the Ottomans) conspired against the Zagwe rulers. The Egyptians wrote two books as a manifesto “መጽሓፍ ክብረ ነገስት & ፍትሓት ነገስት «The Book of The Glory of Kings». These two books had came with a detailed list of ancient Ethiopian kings that links Yukuno Amlak as a legitimate ruler. This gave the foundation and rise of Solomonic Kingdom. After Amhara soldiers of Gojjam took power in Abyssinia by defeating the Zagwe rulers of Lasta, they started to persecute the Agaws. The Amharas, who claimed as direct descendants of the Israelic Solomonic Kingdom, they outcasted the Agaws not only from political power but also they started to persecute them, took their land and limited their freedom to continue practicing their traditions. Gradually, their language started to be dominated by the then emerging new Amhara language. This lead to the first exodus of Agaw people from central Ethiopia. It is during this period that many Agaw families started to immigrate North wards, now Eritrea and Tigray. It is believed that the Agaws went to Lasta from the Red Sea coastal land as their power got stronger. Most Blin people agree in their contemporary history which traces their migration from central Ethiopia(mainly Lasta and its surroundings(Gonder), now within Amhara region of modern Ethiopia) starting from the 10thC. For example, Bet Tarqe state that they migrated from Lasta as early as the 10thC when their great grand father, Shum Gabre Tarqe took his family and properties along with him and traveled all along the highland of Eritrea. They claim that some of his family members are now in Seraye region. The 12 Neged also claim the same migration route as those of Bet Tarqe. The only difference they have is period of migration. Most of the clans of the 12 Neged resettled in Senhit by leaving behind their families in Seraye and Hamassien. Bet Tawqe also have similar history. Most of the clans of Bet Tawqe claim that first they settled in Hamasien region, especially around Adi-Tekelezan before they re-settled in their current location, around Halhal. Blin people live parallel to Anseba river and its tributaries. Their upper limit is Adi-Gergish, near Hadish Adi, and its lower limit is near Melebso(the capital city of Marya people), stretching about 70 km in length and 30 km wide territory. They share boundaries with Hammasien people in the North, Mensae people in the East, Ad Takles (Ad Tekles) and Marya in the North and North East, and Beni Amir people in the South and West as shown in the map below. The map shows only the area inhabited by Bet Tarqe and Bet Tawqe. The 12 Neged were part of the Bet Tarqe tribe before they declare their independence. Therefore, they share the area inhabited by Bet Tarqe. The altiture they live ranges from 1200 to 2000 m above sea level. It has a wide range of fauna and flora with mountanous areas suitable for goat and sheep herding. Keren is the capital and the center heart of all Blin people. It is their social, political and economic capital. It is the most beloved and admired city, not only by the Blin but by all Eritreans. Other important cities or towns include Eden, Halibmentel, Ashera, Halhal, Fledarib, etc. Though the Monastry is now owned by Orthodox Church and the people who live nearby are predominantly Tigrigna and Tigrait speakers, the monastry and the unique Church found in the monastry are closely linked with Blin speaking people. Many villages that surround the monastry are still inhabited by Blin people. Example; Shieb Selaba, Jenbereq, Hamedey, Aibaba, Adkom, Robto, Elabered and its environs, etc. Before the conversion of Blin people to Catholism, Blin people were believed to get fully religious services in the monastry and by the priests who reside there. The Blin people succeeded in establishing their own monastry (known as Tsaeda Emba, or Enda Selassie) which dates back from the 14thC and is still in service, and had their own church(Saint George – which they call it Qudus Gergis Hambelay) around Keren, Megarih. Tsaeda Emba is a very important legasy of the Blin people, especially from the Tarqe tribe, family of Debru from Edirba. The information I got indicates that Debru sold 100 cattles to establish this monastry. Though the Eritrean Orthodox Church is now the owner of the Monastry, the founders of this historical monastry are the guardians. They have protected it from any potential enemies for more than 630 years. Though the newly constructed church dates back from 1920, it is believed that the church existed there since 1730s. It is one of the uniquely remembered church among the Blin people brought the church from Lasta all the way to its current location. It was believed that Saint Church was their guidance and protector. During enemy invasion, they used to carry the Saint’s symbol and defend themselves. Until today, all Blin people do annual pilgrimage to the church, no matter what religious affiliation they have. This is one of the most holy place and a very well celebrated annual pilgrimage and daily prayer site dedicated to Saint Mary. It was first established by French nuns when they started their missionary works in Senhit area. It was first founded by a French sisters. In 1869, a group of French nuns from “Daughters of Charity”. In the 1950s, the Blin people asked protection from the French counsulate which had an office in Massawa (please read below for more details). This exposed them to Catholic church which was then in an aggressive missionary works accompanied by the powerful French government. As a consequence, France opened schools and church services. It is during this time that the Catholic nuns founded Maryam Da’arit for their own praying service. With time, it became one of the most respected and holy place in the surroundings. Today, more than 100,000 peopel do annual pilgirimage to the site. Many Eritreans visit the area to receive blessings of Saint Mary. Though there is another newly constructed mosque in Keren, the most important annd historical mosque in Keren was constructed during the brief occupation of Keren by the Egyptian forces(1880s). As the number of Muslims increased in Keren and its environs, the Egyptians helped the local Muslims to build modern and grand mosque in the city center. Now, it is one of the most important land mark of Keren city and its environs. According to Michael Gabir, fom 1849 to 1890, the Blin people faced several raids from the Ethiopian feudals and the Egyptians accampanied by the Beni Amir tribe of the western lowland of Eritrea and those who were aligned with the Ottoman Empire along the Red Sea Coast(Semhar). From 1844 – 1849, Abyssinains under the leadership of Dejazmach Wube raided the land inhabited by Blin and caused a devastating damage in their lives and properties. A year after, in 1950, the Egyptian garrison accompanied by the Beni Amir tribes reached Bogos area and attacked them as part of their expansion mission to the Red Sea coast. Again, in 1954, the Beni Amir attacked the Blin and took 340 as captives and more than 1800 cattle. 203 women out of the 340 were later released with the help of France. The Tarqe (Bet Tarqe) did not welcome the Egyptian expansion agenda. They wanted their life, land and beliefs protected. For this reason, they sent a plea to the French consular office that was located in Massawa. The letter sent was also sent to the British Consulate. France welcomed the plea and helped them in the release of women captives. This gave way in the introduction of Catholicism in the land Blin people. France started to expand its missionary activities, opened schools and sent delegates in Keren. Before France left the area, there were about 650 students accompanied with seven priests and nine nuns(sisters). Tribes of Bet Tawqe were also in conflict with their neighbouring tribes. In 1856, the Marya tribe and Chaffa(also called TsefaE) of Bet Tawqe tribe attacked Bet Gabsha from Bet Tawqe and destroyed Halhal. It is at this time that the Blin, originally all Orthodox Church followers faced serious challenge to keep their territory secured and their identity intact . The Tawqe Blin(Bet Tawqe) were devastated by several raids that weakened them internally. As a result, in 1854 they fell under the Egyptian rule. In consequence, they started to conver to Islam. Now, most Blin Tawqe are Muslims with the exception of one family, Deqi Dashim are all Muslims. This gave way to the adoption of new cultural identity. This is the first time in history the Blin speaking people started to divide on religion. In the 1940s, the religious division within the Blin people has later affected their political affiliations and inclinations. Today, it seems their social division seems quite visible though their bond is not broken yet. Though the politics of 1940s seemed to divide the Blin speaking communities, their common experience during the Eritrean armed struggle(1961 – 1991) gave them another opportunity to create a lose but healthy social relationship. During the Egyptian rule, under the command of Werner Munzinger(1872 – 1875), Blin people had experienced a relative peace. Rule of law was placed in place, territories between tribes were delineated, Keren started to flourish as a city, religious institutions were established, etc. It is at this time that the grand mosque of Keren and Saint Michael Church of Keren Lailay were constructed. Not only this, a book publishing center was opened and modern education offered in French language was introduced by Catholic missionaries. Werner Munzinger had a wife from Ad Hadembes of Bet Tarqe. This helped him to be welcomed by the Blin as a protector.